Since the journey to financial freedom will take you longer than you think and be tougher than you envisage the least you could do is to put ‘first things first,’ even this Christmas! Yay it’s Christmas again! It’s one of those strange birthday parties where the birthday celebrant is largely ignored; it’s more about the partiers than the birthday bloke. One reason why it’s more like SantaClausmas—than really about Jesus Christ, God-in-flesh born as a baby in Bethlehem—is because “Christmas is typically a peak selling season for retailers in many nations around the world. Sales increase dramatically as people purchase gifts, decorations, and supplies to celebrate.” In the U.S. , for example, it has been calculated that a quarter of all personal spending takes place during the Christmas shopping season. The United States’ retail industry generated over three trillion U.S. dollars during the holidays in 2013. The value of food and beverages alone purchased at large retailers in Canada in December 2014 was $4.6 billion. Consider Christmas 2014. The value of televisions and audio and video equipment purchased at large retailers in Canada that December alone amounted to $543.2 million! Granted; I’m not a big television or silver screen fan. I never bought a television in my entire life until only about three years ago. Prior to that, every television we had owned in my marital home had been a gift. The cool thing, for me, about the first television sets we bought with our own money is that we got two flat screen TVs installed in a house we bought in 2013. That, by the way, was the second house we had purchased in two different countries. Why this order? Those of you who know me well are aware that for the past 15 years I’ve been on a quest for Financial Whizzdom. One of the early principles I picked up from Rich Dad Poor Dad author, Robert Kiyosaki, was to first buy assets (something that puts money in your pocket) before going after liabilities (something that takes money out of your pocket). There have been times when I’ve contravened my creed but it’s a good thing we had the mindset and discipline to do assets first and liabilities later when it came to getting a television, at least. First things first. Sometimes I watch with utter amazement the lavish liabilities shown of by many young people, especially when it’s a double liability because these things have been bought on credit as well! If you ever intend to be financially free—having passive income exceeding your living expenses thus not having to work at a job all your life—I can assure you that it will take longer than you envisage and will cost you more than you think. Trust me, I’ve been on this journey for over 15 years; I know. After several companies and umpteen investments in multiple countries I’m still en route. I’m not there yet. If you squeeze yourself a little this Christmas and the next few ones, you could really have resources from your assets feeding you and fanning your fun… for life! I don’t intend to be a Christmas killjoy. Neither am I an advocate for the Buy Nothing Christmas or Buy Nothing Day movements. All I’m saying is that spend this Christmas in a way that will enable you to enjoy as many Christmases as the Lord will allow you to see in great fiscal and physical health. 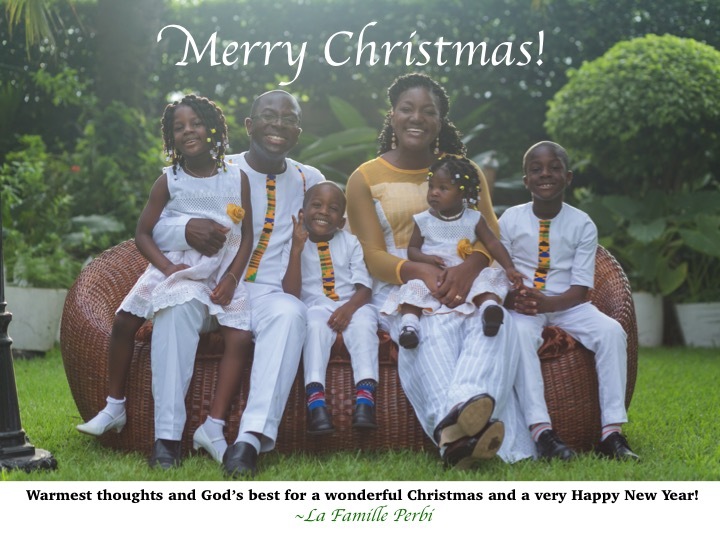 My family and I will be enjoying the Christmas, giving and receiving gifts. 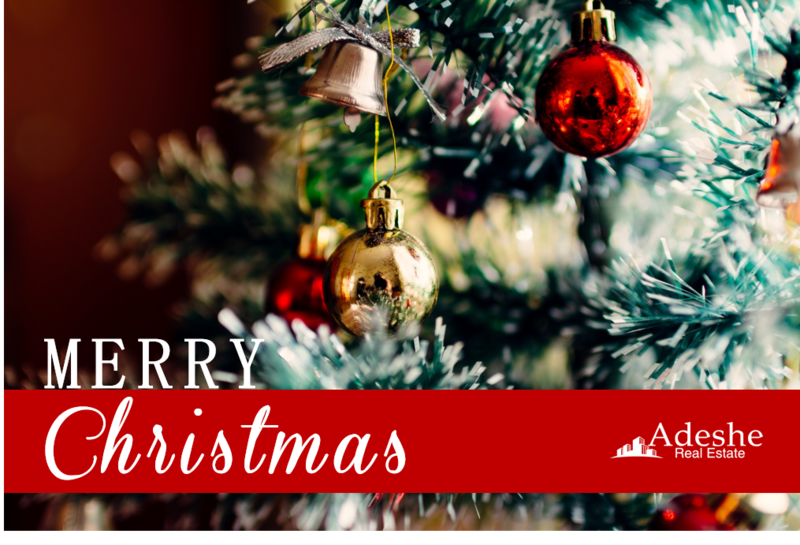 That Christmas card at the beginning of my article is one sent by one of our family’s companies, Adeshe Real Estate, to our clients and investors. We sure are enjoying and sharing Christmas… but with the future in mind as well. Even as I write this, I’m being a stay-at-home dad for much of this week while my dear wife is away in the U.S. closing a couple of real estate deals. When I was a licensed financial advisor at Investors Group a few years ago with only about a million dollars in assets under management then, it amazed me how many families had “more month at the end of their money.” Yet this Christmas, ‘everyone’ will shop as if there was no tomorrow. You don’t want to have more life at the end of your money! Put first things first. Merry Christmas!